With his childhood love for food and baking still strong, Shawn enrolled in Le Cordon Bleu College of Culinary Arts in San Francisco. And so his journey began — Shawn left his corporate career to pursue his life-long passion: baking. 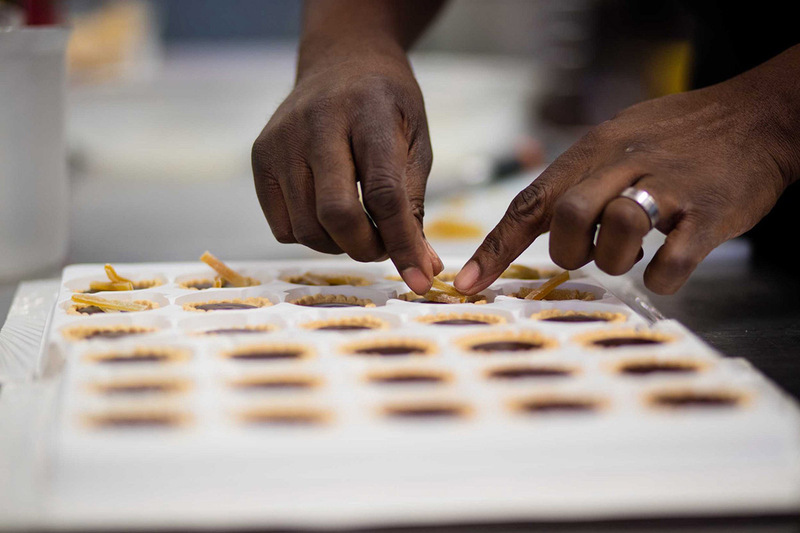 While working as production manager at local Oakland bakery, Bakesale Betty, Shawn told the owner that he missed “getting his hands in the flour” and she fiercely encouraged him to start up a side business. With the support of his husband and two sons, TART! Bakery, Shawn’s made-to-order artisan bakery, was born. Shawn has big dreams for TART! 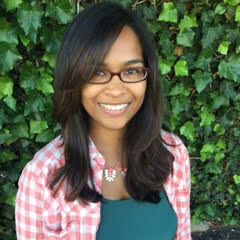 and hopes to evolve it into a late night dessert bistro with an adjunct bakery. He imagines creating a space where you could go after a movie or a show or a “night on the town.” Somewhere you could hang out and chat with friends or that special someone over an after-dinner drink, a cup of coffee and a delicious dessert. When he looked around for such a spot, he saw that, locally, it didn’t exist. Shawn can hardly keep up with current demand. 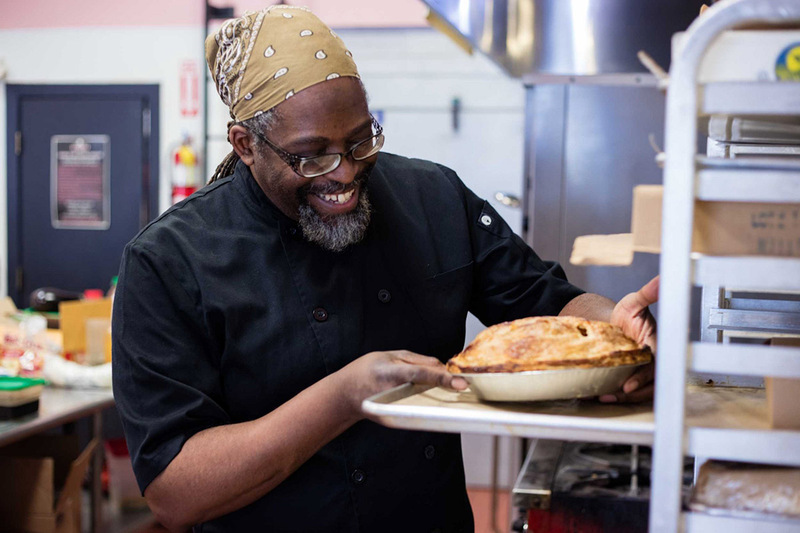 He uses Bakesale Betty’s commercial ovens after-hours to bake a range of delicious goods from pies and tarts to scones, cookies and desserts. He sells them at a few local cafes, pop-up markets and has begun working with a local caterer and event planner. “I am very proud that we create fresh, locally baked goods that customers enjoy sharing with their families, friends, and neighbors,” Shawn says. With TART! 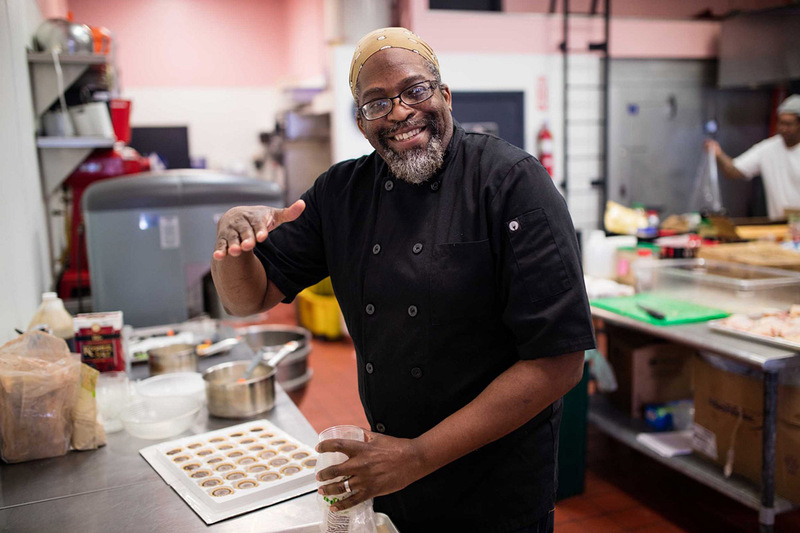 Bakery, Shawn is enjoying having an impact in people’s lives through his food. “For me, the big charge is not when the dessert is finished, but when it is tasted. When people are enjoying it and you can see it on their faces, that is the payoff. That is the best experience ever,” says Shawn. The biggest challenges Shawn has faced since opening TART! Bakery have been capacity, cash flow, and staffing. In order to grow his business, he realized he needed to secure additional funding and better cash flow. He decided to apply for a 0% interest Kiva Zip loan and successfully crowdfunded his ask of $5,000 with the help of 49 Kiva lenders, including 16 first-time lenders invited by Shawn. His loan was also jointly endorsed by Centro Community Partners and Kitchener Oakland as both organizations have history with TART! Bakery. 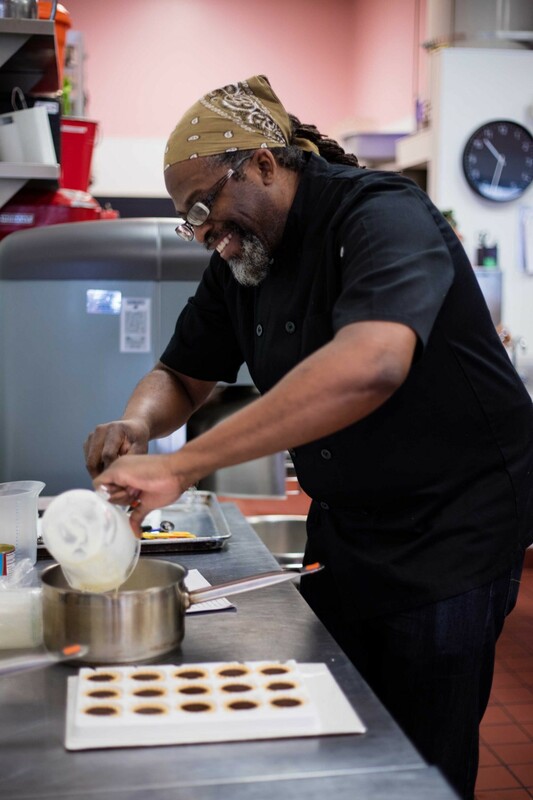 Shawn has been part of Kitchener Oakland’s commercial kitchen since 2012 and joined Centro’s Entrepreneur Readiness Program in September 2013. Through Centro’s program, Shawn gained the practical knowledge and support he needed to bring his business to the next level. He was also paired up with an MBA Advisor from Mills College to work on market research, competitor analysis, and financial projections for his business plan for TART! Bakery. With the increased sales and cash flow as a result of his Kiva Zip loan, Shawn will be able to keep TART! on track and build reserves toward making his dream of a brick and mortar business a reality. It is dreams like Shawn’s and others like him that make Oakland such a special place to live, work and play.